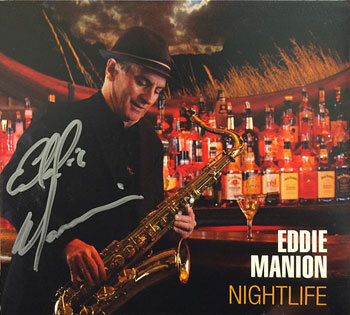 Signed by Eddie Manion in silver on the digipak's front cover. "I wanted to make a record that was like, this is what I sound like," Eddie Manion tells Backstreets. Unlike the saxophonist's first album, 2004's Follow Through, this one is "all covers: Gene Pitney's 'Town Without Pity,' some standards like 'Stardust,' 'Smoke Gets in Your Eyes'... All my life, when I heard a song that I really connected with, I'd write it down. I had all these little pieces of paper in my wallet. So for this record, I dug them all out of my wallet, and I finally did all the songs I wanted to do." The album gets its name from the Willie Nelson-penned "Night Life," originally a hit for Ray Price. Also among the covers on those slips of paper was a Springsteen tune, "City of Night," the Darkness on the Edge of Town outtake from The Promise, which appears on Nightlife in a six-minute arrangement. "I did a cool medley with it," says Eddie, "I go into King Curtis's 'Soul Serenade' and then back into 'City of Night.'" Among Nightlife's many guest players are several friends from the E Street stage: "Charlie Giordano is on it, Curt Ramm is on it, I'm really proud of it." Also on the record is Joe Grushecky, who plays guitar on Sam Cooke's "A Change is Gonna Come." 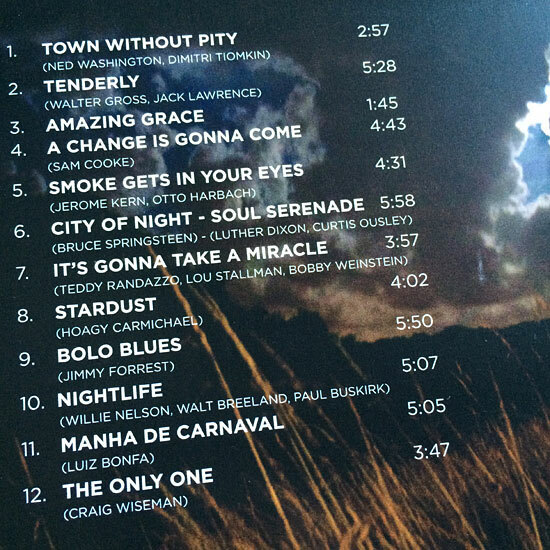 A staple of Springsteen's horn sections since 1976 (as well as an Asbury Juke and a Disciple of Soul), Eddie produced and arranged the 12 largely instrumental tracks on Nightlife, and the CD booklet is filled with his photography, too, from his globetrotting with the E Street Band from 2012 to 2014. "When I'm on the road," he writes, "I like to get out of my hotel room and take a few pictures of this beautiful world in which we live."